The seeds and leaves of methi (fenugreek) are readily available and widely used in Indian kitchen. They have a strong aroma and a bitter taste. But when used in small quantities they impart flavour to your food. It is commonly used in curries, vegetable dishes, dals and not to forget the mouth watering methi paratha.Methi contains protein, fibre, vitamin C, niacin, potassium, iron and alkaloids. It also contains a compound diosgenin which has oestrogen like properties, as well as steroidal saponins. Fenugreek has been known to be helpful in inducing childbirth by stimulating uterine contractions. It is also known to reduce labour pain. But heres a word of caution. Excess intake of fenugreek seeds during pregnancy could put you in risk of miscarriage or premature childbirth. Fenugreek contains compounds like diosgenin and isoflavones with oestrogen like properties which help reduce symptoms like discomfort and menstrual cramps associated with PMS. 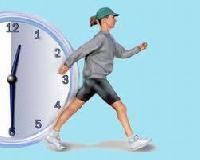 These compounds also ease menopausal symptoms like hot flashes and mood fluctuations. Women are more prone to iron deficiency during adolescence (initiation of menstrual periods), during pregnancy and breastfeeding. Including green leafy veggies like fenugreek (methi) in your diet can supply a good amount of iron. Want to enlarge your breasts? Include fenugreek in your regular diet. The oestrogen like property of fenugreek can help in breast enlargement by balancing hormones in women. 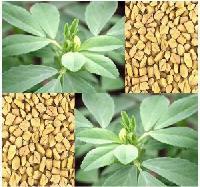 According to studies fenugreek helps to reduce cholesterol level, especially that of the low density lipoprotein (LDL). Fenugreek seed has cardiovascular benefits due to the presence of galactomannan. It lowers the risk of heart attack. It is also an excellent source of potassium which counters the action of sodium to help control heart rate and blood pressure. Fenugreek is beneficial for people with diabetes. Galactomannan, a natural soluble fibre present in fenugreek slows down the rate of sugar absorption into blood. Fenugreek also contains amino acid responsible for inducing the production of insulin. Fenugreek helps flush out harmful toxins. 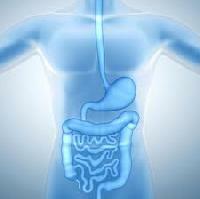 It relieves indigestion and helps treat constipation.